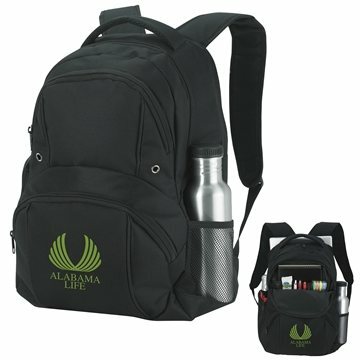 Versatile backpack features 2 zippered front compartments as well as 1 side compartment for carrying all you need. Front main zippered pocket with organizer panel. Zippered and mesh side pockets. Customer support was excellent..and very helpful! Great product. Liked the price a lot. Very good product for the money. Filled a large order on a short notice. Thank You. LOVE it. the product itself is great. The artwork looked great. Good product. We were satisfied with how our logo turned out.